A regular President of Jury (Wieniawski, Sion, Buenos Aires and Munetsugu violin competitions) and Artistic Director of many International Music Festivals, he is currently sought after to conduct masterclasses all over the world. Mintz is also a co-founder of Violins of Hope, a project that aims to promote peace through music. "I started conducting, because my teacher Dorothy Delay, gave me a long speech about ‘knowing what other instruments play when you play your concertos’. She was an eloquent pianist herself and was able to accompany her students on several occasions. 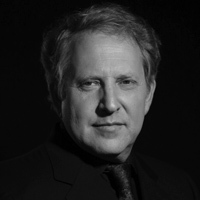 After I had a few years of piano playing, my interests turned immediately to conducting..."
Mintz is currently the Artistic Director of Crans Montana Classics.